Wilma L. Burge, 67, died Apr. 13. Funeral service 12:30 p.m. 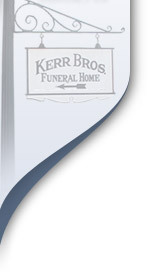 Mon., April 22 at Kerr Bros.-Main St. Visitation 10 to 11 a.m. Mon. Funeral service will be 10:30 a.m., Tues. April 23 at Kerr Brothers-Harrodsburg Rd. Visit 5-8 p.m. Mon. at the funeral home. Burial will be private in the Highland Cemetery, Williamsburg, Ky.
Memorial contributions are to the ALS Foundation, P.O. Box 910130, Lexington, Ky 40591. Stephen Raymond Drosick, 66, husband of Debbie Magruder Drosick, died April 15, 2019. A Mass of Christian Burial will take place 12:10 pm Tuesday, April 23, at the Holy Spirit Parish Newman Center, 320 Rose Lane, Lexington, KY by Father Steve Roberts. Burial will follow in Calvary Cemetery. Visitation will be 9:00 am – 11:30 am on Tuesday at Kerr Brothers Funeral Home, Harrodsburg Road. Contributions may be made to Holy Spirit Parish Newman Center, 320 Rose Lane, Lexington, KY 40508. A memorial service will be held 10 a.m., Sat., April 27, 2019 at the Lexington Primitive Baptist Church with burial to follow in the Lexington Cemetery. Visitation will be from 6 - 8 p.m. Fri, April 26 at Kerr Brothers Funeral Home, Harrodsburg Rd. Contributions may be made to Mercy Rescue and Adoption, Inc., 6875 W. County Rd., 30N, North Vernon, IN or the Coast Guard Mutual Assistance, 1005 Glebe Rd., Ste 220, Arlington, VA 22201. Funeral Service will be 10:00am Tuesday, April 23 at Kerr Bros.-Main St. with burial to follow at Camp Nelson National Cemetery. Visitation will be 5-8pm Monday at the funeral home. Funeral service will be 10:30 a.m., Tues. April 23 at Kerr Brothers-Harrodsburg Rd. Visit 5-8 p.m. Mon. at the funeral home. Burial will be private in the Highland Cemetery, Williamsburg, Ky. Memorial contributions are to the ALS Foundation, P.O. Box 910130, Lexington, Ky 40591. No services are planned. Kerr Brothers Funeral Home, Harrodsburg Rd. handling arrangements. A celebration of life will be from 5:00 – 8:00 PM Tues., April 23, 2019 at Kerr Brothers Funeral Home – Harrodsburg Rd. Contributions are suggested to the UK Markey Cancer Foundation, 800 Rose St., CC160, Lexington, KY 40536-0093 or Bluegrass Hospice Care Center, 2312 Alexandria Dr., Lexington, KY 40504-3229.